We have 3 copies to give away! To celebrate the upcoming release of martial arts/gangster mash-up Nightshooters on digital download and DVD from 26th December 2018 we're giving WhatCulture readers the chance to win one of 3 copies we have to give away. 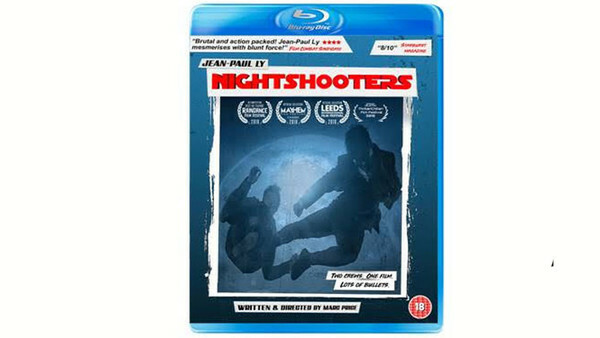 From internationally award winning director Marc Price (Colin) comes this year’s must watch martial arts come British gangster film Nightshooters, starring SAG Nominated, up and coming action star Jean-Paul Ly (Jailbreak). Nightshooters is a non-stop action-thriller about a group of filmmakers who find themselves on the run from a violent mob of criminals, after witnessing a brutal gangland execution. Unable to escape their set, the hapless film crew must use their technical skill and cinematic knowledge to survive. To be in with a chance of winning, simply submit your name and address details to contest@whatculture.com, remembering to quote 'Nightshooters' in the subject line. Nightshooters will now be available on digital download and DVD from 26th December 2018. Win a PS4 Console And Mortal Kombat X!